The upcoming season of Lent is a time to renew our spiritual life and to offer up gifts of love to our God. And during this time there is no better gift than to reflect on our souls as to where we presently stand in the light of God’s judgment. For surely, with so many prophesized warnings given by saints, seers and prophets throughout the ages of an exact time when every living being will see their souls exactly as God sees it-that is, all the good and all the bad accumulated in a lifetime up to that point-it will occur. According to many related and recorded near-death experiences, this same grace happens at the moment of death or near-death; and, for those of us alive at the time when it occurs throughout the world to every living being, it will come without warning and we will experience the exact same grace. The difference is, we will have full, undeniable knowledge of the reality of God, and the free will choice to do something about it. This holy grace of revelation as to where we stand in the judgment of God has generally been called “The Warning” or “The Illumination of the soul.” Whatever one wishes to call it, it only makes sense that it is also one of the ten secrets the Blessed Virgin Mary has given to the visionaries of Medjugorje. It can be further stated that it is conceivably one of the three warnings that will be given at Medjugorje after the apparitions cease to occur, to let the world know that this event is from God and that He is real. The first three secrets are in fact the warnings. Since it has been revealed by way of personal messages received by the visionaries in the early days of the apparitions what two of the warnings are-even if purposely ambiguous-this could conceivably be the other. The Illumination of the Soul will be like a spiritual x-ray that will reveal to each individual which path they are on: the path to damnation or the path to salvation. Man-kind will then have the free will to decide to follow the path to God or the path to Satan. Sadly, as the Blessed Virgin Mary has stated in her messages to various seers, some will still follow the path to damnation, even though they will know without doubt that God exists and that He loves every creature. The credibility of the Illumination of the Soul (or The Warning) comes from a number of supernatural events. It was foretold to St. Catherine Laboure in 1830 (at Rue du BAC in Paris, France place of the Miraculous medal), to St. Faustina Kowalska in the 1930s (Divine Mercy Kracow, Poland), and to the four young seers of Garabandal, Spain, to whom Our Lady appeared many times from 1961-1965. Other visionaries have since spoken of it and there is general agreement that, as a result of this happening, millions of sinners will repent and be restored to grace. With the nearly 29 years of daily apparitions at Medjugorje and the thousands of messages of calling for repentance now, the battle lines between good and evil are more clearly drawn than ever before. According to the visionaries of Garabandal, within one year of the Warning, or Illumination, a great miracle will occur in the skies over Garabandal involving a sign that they say can be seen and photographed but cannot be touched. The same has been related by the visionaries of Medjugorje. A permanent sign is to be left on Podbrdo Hill (Apparition Hill as we call it) where the apparitions of Medjugorje began. As at Garabandal, it can not be touched; does that mean it physically can not be touched or that it is forbidden to be touched? We do not know. This permanent sign, they say, is the third warning, or the third secret of Medjugorje. They go a step further to report that the Virgin stated that the first warning, or secret, will be a great upheaval somewhere in the world. Again, there is no revelation as to whether it will be geographic, political or something else. Regardless, if a soul is not converted to God by this time, it will be too late. With such knowledge given and verified so many times, our reaction based on faith and the confirmation of Medjugorje’s messages, should be one of repentance. Repentance loosely defined is acknowledgment of not following the way of God as best we can. It can be interchanged with the words contriteness, regret and remorse. Thus, Lent is our time to closely reflect as to where we stand with God now, not waiting for that fearsome event of Illumination of the soul; and then, of course, to do something about it. According to a wide number of souls who have experienced near-death and have come so close to actual death, what they saw in their own judgments was so many little slights to others by word, thought and deed. These acts toward others appear to have great weight. Some of what we might consider to be the most trivial of things. As one woman who experienced near-death put it, she saw how every nice word or action created light that circled the world while each negative one did the opposite. A great Catholic theologian named Father Reginald Garrigou-Lagrange once wrote that “at the moment of separation the soul knows itself without medium, on all its merits and demerits. It sees its state without possibility of error, sees all that it has thought, desired, said, and done, both in good and evil.” The entire past, he said, is seen “in a glance.” That is precisely what those who have been declared dead but then miraculously revived have reported. 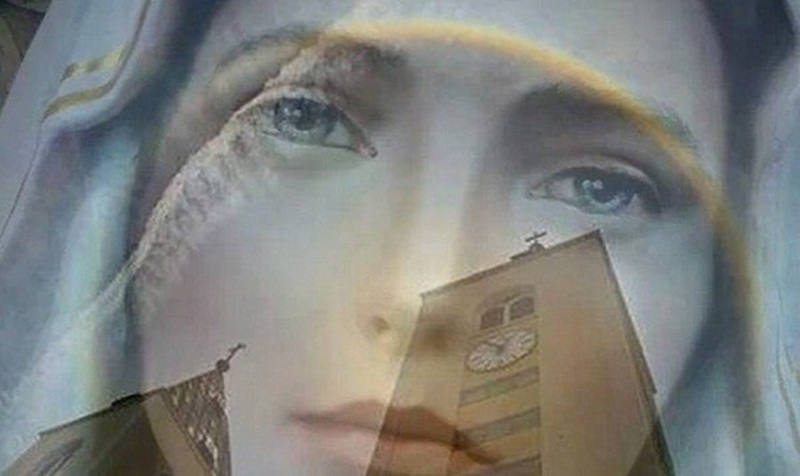 As Our Lady has said so many times in her messages to us through Medjugorje, don’t wait for the secrets before deciding to change and follow God. Do it now. Lent is the time to begin the change. May the peace, grace and love of Jesus be with each of us.